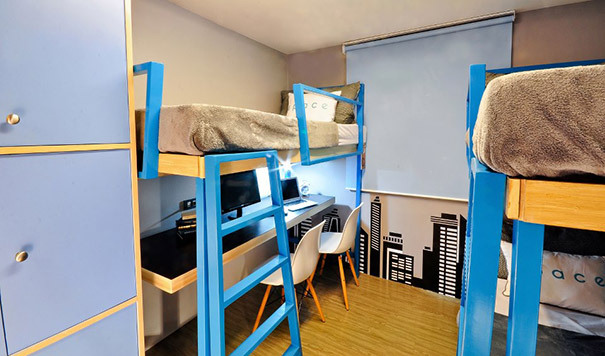 Major Homes - Condormitel in Manila, Philippines | Major Homes Inc.
Space is a condormitel concept – condominium, dormitory and hotel that operate as one. It is a real estate asset for it is fully secured with a CCT (Condominium Certificate Title), leased out like a dormitory, and with a service comparable to a hotel. Patterned after a sachet business model, units will be rented out on a per bed basis, giving it a strong rental component. Located in the densely populated university belt, Space offer condominium comforts, redefining the concept of dormitory living for students. Whether you are an investor, a parent, or both, Space condormitels provide you with the perfect venue for investing in the future. 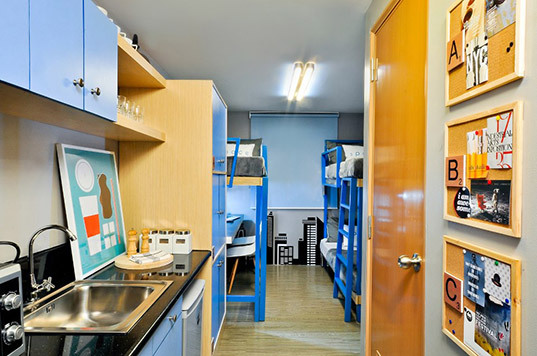 Space San Marcelino is a 28-storey condormitel (combination of condomium & dormitory units that will be operated as a hotel) located along San Marcelino St. in Metro Manila. 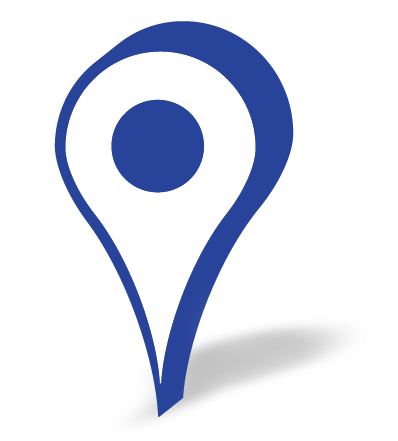 It is conveniently located beside the country’s leading educational institutions, 200 meters away from SM City Manila, accessible to hospitals & government agencies. 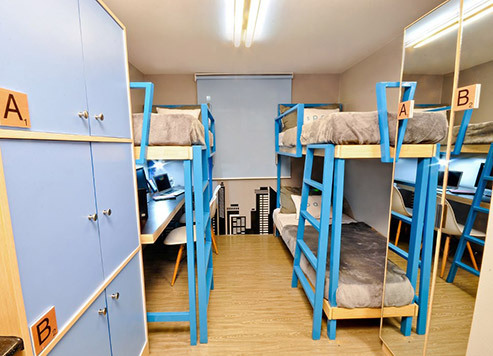 Space Romualdez is a 28-storey condormitel (combination of condomium & dormitory units that will be operated as a hotel) strategically located along Romualdez St. in Metro Manila. 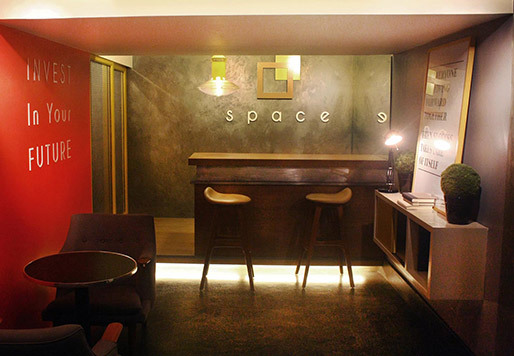 Space Romualdez puts all of Manila’s Finest features right at your doorstep – Top Universities, Commercial Establishments, Government Offices & Historical Points of Interests – making it a convenient home and ideal investment opportunity. 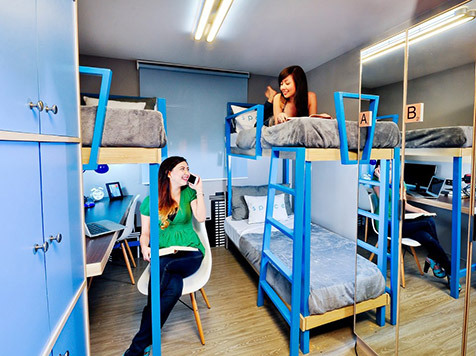 Space Taft is a 28-storey condormitel (combination of condomium & dormitory units that will be operated as a hotel) strategically located along Taft Avenue. 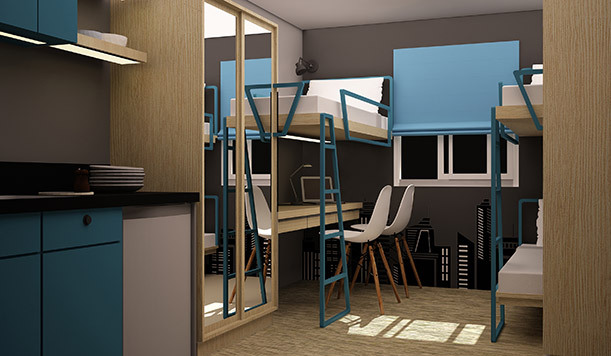 Just a few minutes away from the University Belt, Hospitals, Government Offices and Commercial Establishments, Space Taft offers an upgrade to the typical bedspace experience of students, health workers and young urban professionals. 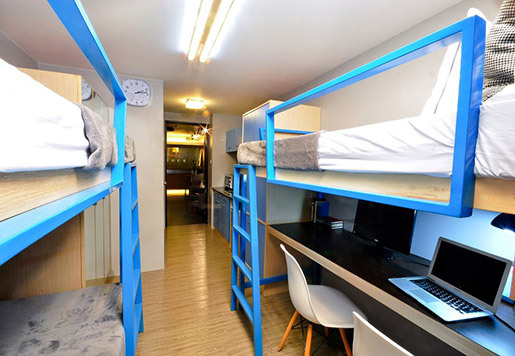 Space U-belt is a condormitel concept. It's a condominium, dormitory and hotel that operates as one. It is a real estate asset for it is fully secured a Condominium Certificate Title (CCT), can be leased out like a dormitory and with a service comparable to a hotel. You’re not just buying a property, you’re owning a hassle-free business. Clients can enroll their units in a rental pool which will be managed and serviced for them by a dormitel facility. 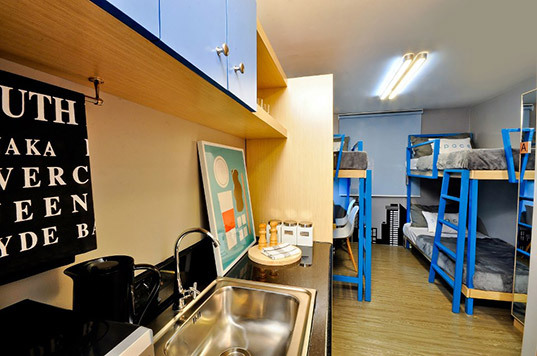 Units are fully-furnished with 3-4 beds (w/ an estimated P4,000 monthly rental per bed). All interiors utilize every inch of space, creating a comfy atmosphere far from the typical bedspacing experience. Located in the densely populated university belt, Space offer condominium comforts, redefining the concept of dormitory living for students. Whether you are an investor, a parent, or both, Space condormitels provide you with the perfect venue for investing in the future. Looking for a decent, peaceful, safe, homey space at a student-friendly price? Major Homes Inc. pioneered the concept of condominium, dormitory and hotel, built all-in-one, giving life to the Condormitel. Expect the same comfort and service to that of those high-rise condominiums and hotels, without spending a lot. Whether you’re a student, parent, worker, or an investor, better choose only what promises nothing but convenience at its finest. Invest for your future with us!